For today’s post we have an update on the ST-style SE emblems! There have unfortunately been a few delays throughout the production of these which we have had to work around, so while we would very much like to have them ready and available right now, to make that possible would mean skipping steps and selling pieces of a lower quality than we want to. It has been taking longer than expected to finish them up to the desired standards, which has been pushing back the completion date. As they are straight out of the 3D printer, the parts are not perfectly smooth or finished like the OEM ST emblems are so extra time and care is being taken to ensure they are brought up to the highest standard possible. The point of these was to look like they could be original Ford parts, so if they’re lower quality than OEM components it defeats the purpose. We thank you for your patience and continued interest in these emblems, and hopefully soon we will have the next update posted for them, to announce that they are ready to go! 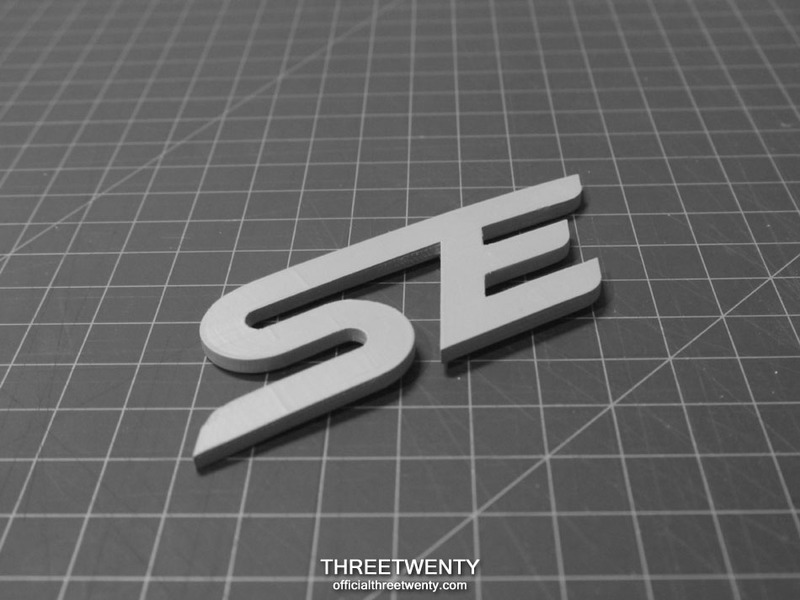 Unfortunately unless a number were ordered 3D printing SEL emblems wouldn’t be a feasible option. However, some can be made using the same method that was used for the original SE grille emblem on the sedan. If you’d like to discuss this in greater detail please contact us and we’ll be happy to help! When are these going to be done? I’m dying for a set.